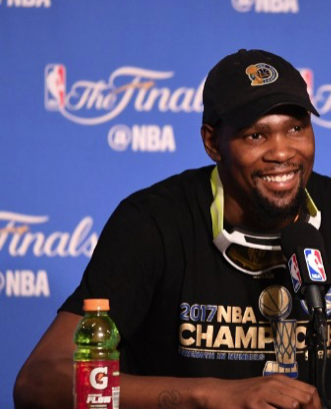 In the 2018 NBA season a star on the Golden State Warriors, Kevin Durant had been kicked out of a total of 5 games. Being kicked of 5 games is a lot in the NBA. He is currently ranked third on the al time list, number one being Rasheed Wallace. People have been calling in a “villain” because of all these ejections. On March 30th he was kicked out of the game after yelling and swearing at the referees because he didn’t like the call they made. On December 1st he was ejected after yelling at the refs over a foul they didn’t call on a play he scored on. The referees have a hard job and can’t always make everyone eon each team happy at all the same times, but you have to understand that you can’t jaw off at them because of one call they missed. You have to know your limits a watch what you say, especially if you have a career playing a professional sport. Everyone will always look at Durant like he’s a villain because this is an ongoing thing.